My writing prompt workbook “Resist Your Fears and Write Your Truth” is designed to help you work through the fear and resistance all writers experience when they contemplate writing publicly about a controversial topic or personal experience that contradicts social norms of what’s acceptable. But writers (and you are a writer no matter what your fears tell you), have trouble staying silent even when writing their truth might result in professional or personal blowback. Remember, fear is normal and expected but you do not have to be controlled by it. You can resist the resistance! 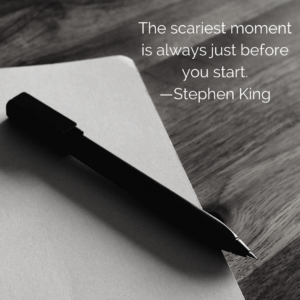 Get your free copy to help you confront and conquer the fears holding you back from writing about what really matters. When you sign up for my newsletter, you’ll get the workbook and a weekly email with a behind the scenes look at my writing process, weekly writing prompts, and special announcements about my writing resources and services.